Last modified: Jan 2, 2016. Find me on YouTube as the CanonFilmGuy or on Twitter @canonfd. 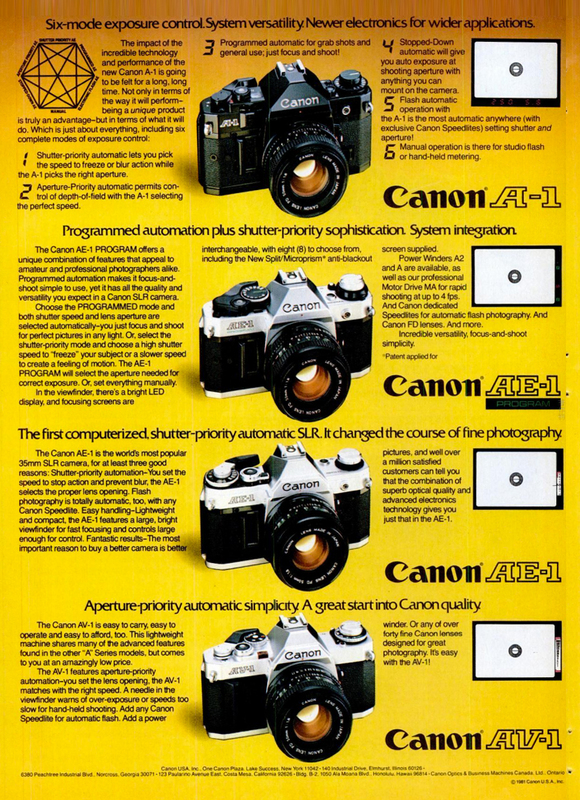 I like to think that I specialize in late 1960s to early 1980s film rangefinder and SLRs from Canon. I also do rudimentary repair and cleaning, and I collect catalogs, manuals and magazines associated with these cameras as well. 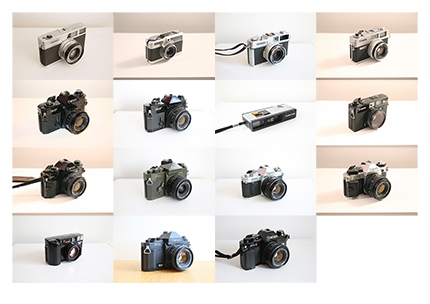 This is a list of vintage Canon cameras I own. All are functional. I'm not the only one who collects Canon cameras, though there are only a few who write extensively online. Jean-Luc Cavey is by far the most prolific. Karen Nakamura has a few Canons, among others. Sylvain Halgand maintains probably the largest French (and partly English-translated) repository of information on vintage cameras and lenses. There's a tidy Canon section. 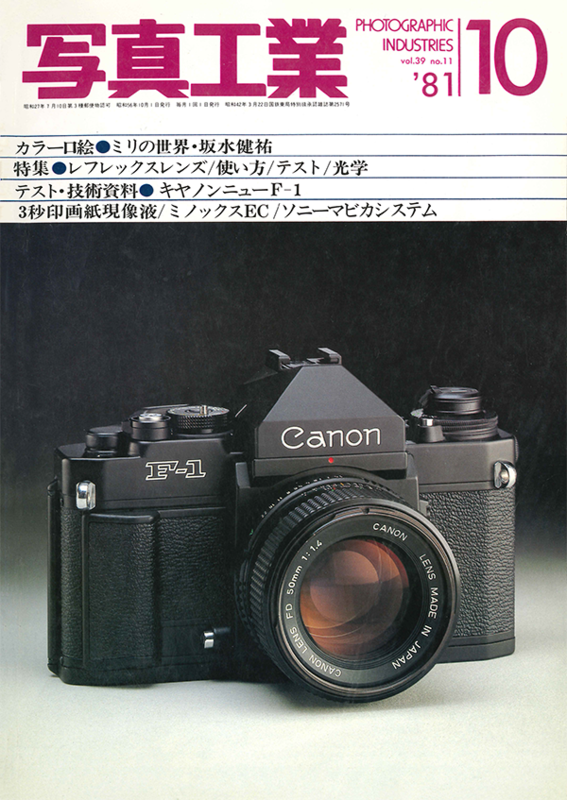 Baytan has a nice collection of Canon FD manuals. 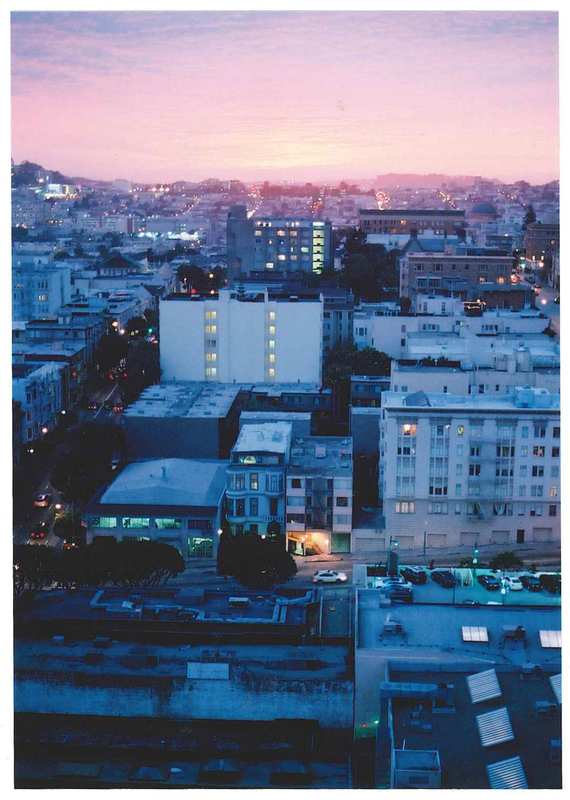 Stephen Gandy is extremely knowledgeable with classic cameras, though he chiefly owns, repairs and writes about Nikons. Two German collectors include Detlef Prüfert and Christoph Michel whose collection of F-1 and New F-1s are particularly impressive. Mr. Martin collects all sorts of cameras, including Canons.